Sometimes a person gets what they want by sheer determination and force of will. 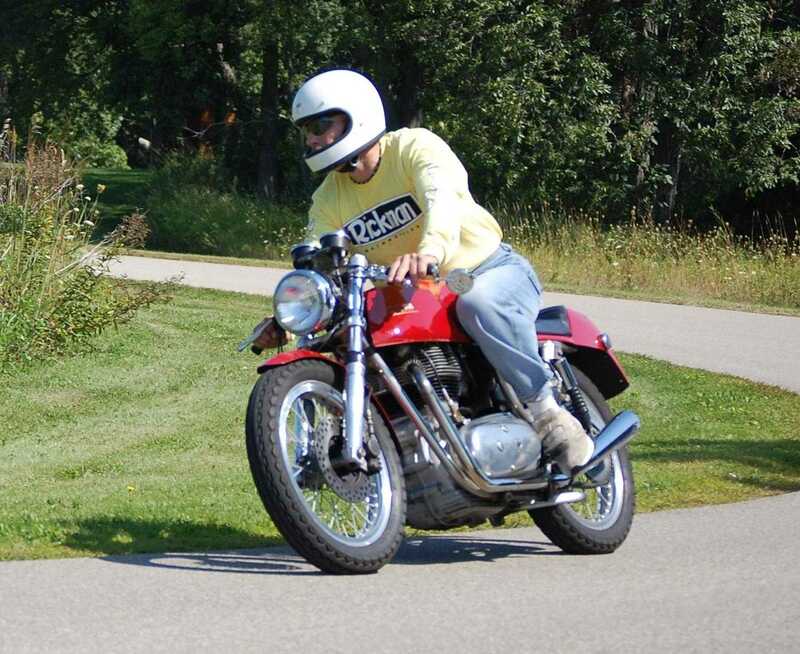 So it was in the summer of 1974 when Wisconsin motorcyclist Mike Engelhart set out to buy a brand new 1971 Rickman-Enfield 750 Interceptor from Chariot Cycles in Winnipeg. 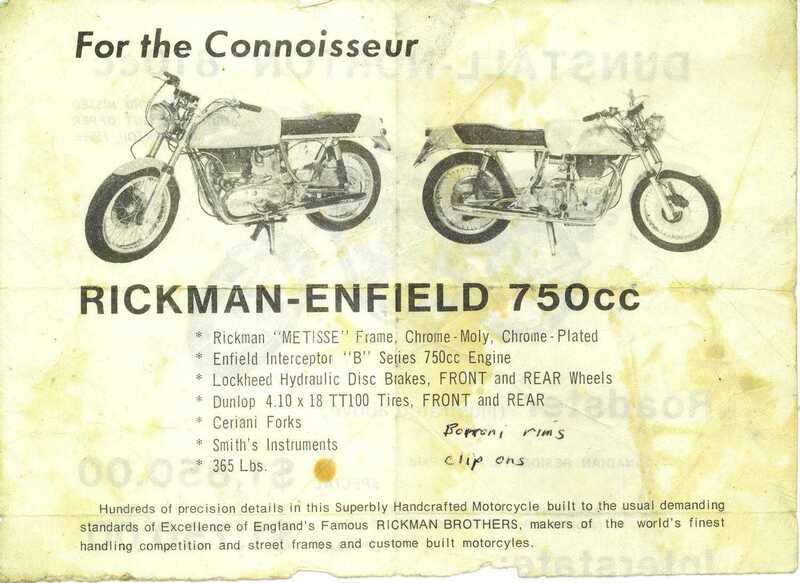 He liked the 1968 Royal Enfield 750 Interceptor he already owned and after seeing an advertisement for the Rickman he realized he could have the power plant that he favored with the additional handling and performance of the Rickman Metisse chrome-plated chrome-moly frame, complete with Ceriani forks, Borrani rims, disc brakes and fiberglass bodywork. “My brother was interested in getting a BSA, so we decided to make the trip together,” Engelhart explained. With each of them having completed their purchases, the bikes were loaded on a trailer, the Rickman still in its shipping crate, and the men headed south for the border. Assuming two U.S. citizens re-entering the country with brand new motorcycles on a trailer would pose no problems, what happened at the customs port of entry took them both by surprise. The customs inspector opened the crate to verify that the bike inside had an Environmental Protection Agency certificate of compliance with emissions standards affixed to the frame – which it didn’t have. “They wouldn’t let me bring the bike across the border – at least not as a complete motorcycle. So, we went back to Chariot Cycles, uncrated the Rickman and took the engine & transmission unit out of the frame, put it in the trunk and arranged for the rest of the bike to be sent by air-freight to Minneapolis.” Engelhart explained. To avoid further problems they went to a different border crossing in the hope of avoiding the customs man that had turned them away once; but much to their dismay, the same inspector was now stationed at the other port of entry! Nonetheless, this time he let them pass. Once clear of the border, the brothers drove to the Minneapolis airport to retrieve the rest of the bike and then back to Wisconsin where, after reassembly, Engelhart at last had his Rickman. The Rickman Interceptors were born out of adversity. 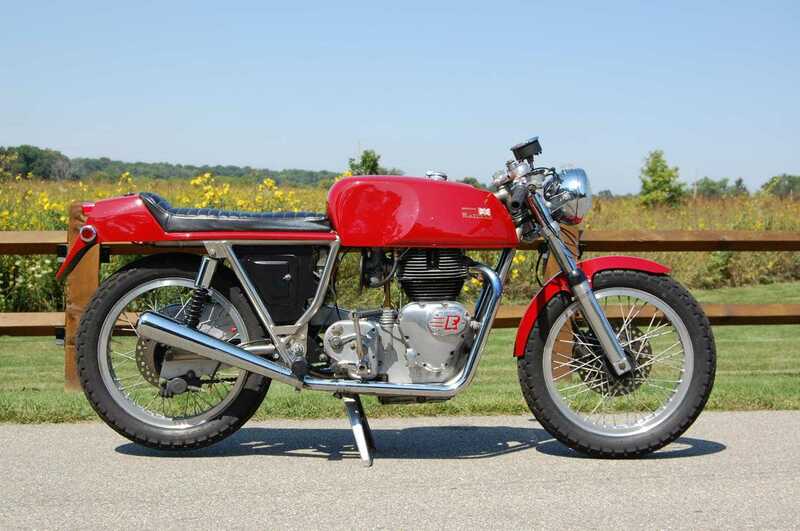 With the collapse of Royal Enfield in 1970, almost one hundred and forty MK II Interceptor engines were left in limbo on British dockyards, originally awaiting shipment to Italy for assembly into what would have been badged as Indian products by then-owner, Floyd Clymer. However, Clymer’s death at about the same time left the units with no place to go. 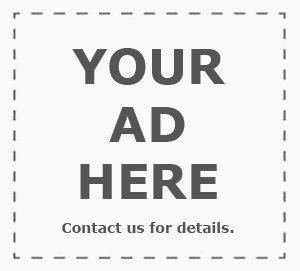 The Rickman brothers, already well-known for their high-performance chassis designs, were contacted about the orphan engines and struck an agreement to build a product around them. Fate has a way of sometimes making opportunity from misfortune and the striking end product works as well as it looks. 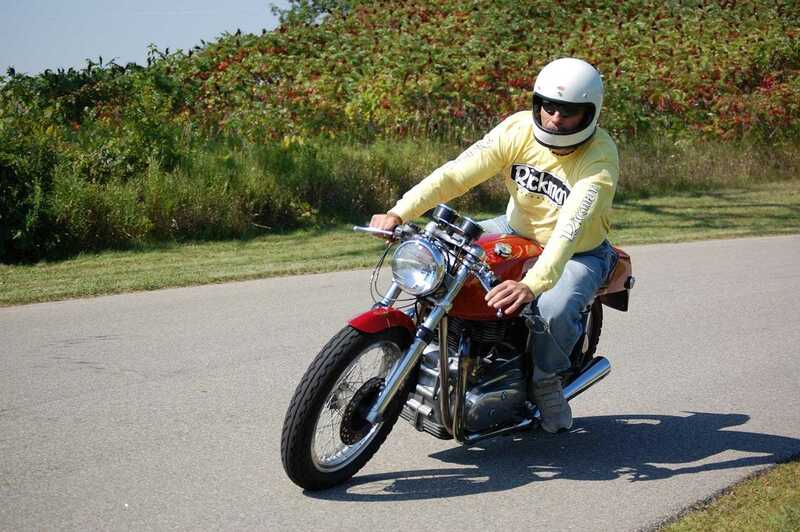 Engelhart says the 56-inch wheelbase in combination with the Rickman Metisse chassis, Ceriani forks and Girling adjustable rear shocks makes the bike corner like it’s on rails; and the Interceptor’s handling is matched by its potent performance. At around 365lb (dry), with the OHV twin producing a claimed 60hp @ 6,500 RPM, it has an estimated top speed of 115mph, so the Lockheed single piston calipers biting on drilled discs front and rear, are needed to scrub off speed. Rickman bikes of any type are few and far between here in the States. 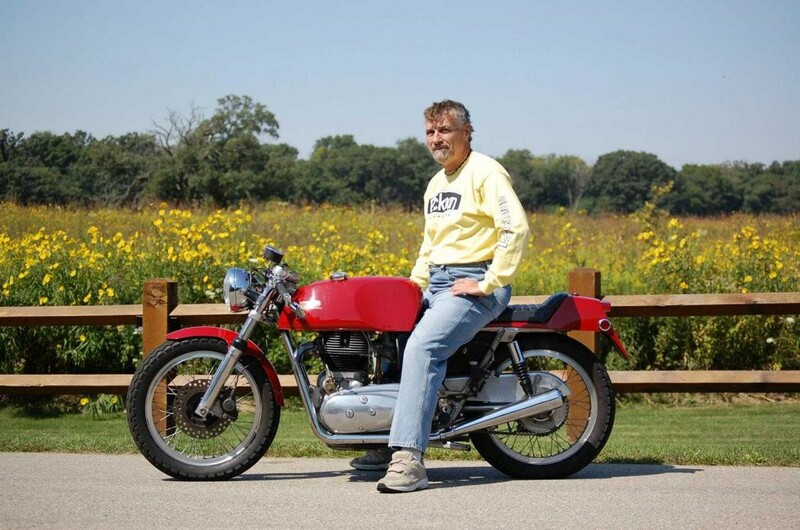 With the Interceptor among the rarest of all their products, it’s not surprising its owner was willing to take a roundabout route to get it, or that he has hung onto it all these years. Great Story and pictures. I especially like the ones with the yellow flower background. Good old fashion mid west determination won out. Good for him!!! Mike this February when you come to Yucatan. I hope you bring lot of pics. Now we have to ask if you can gave us an autograph Jaja. Saludos from Merida, Yucatan. The Mayas Land.